Aurel J. Haitsch, Jr., age 90, of Bethel, CT died Tuesday, August 21, 2018 at Danbury Hospital. He was the husband of the late Margaret (Humphrey) Haitsch. He was born in Bethel, CT December 30, 1927, son of the late Aurel J. Haitsch, Sr. and Ethel Converse (Smith) Haitsch. He joined the US Navy in April 1945, receiving his basic training in Bainbridge, MD. Upon completion of Basic he received training as a Corpsman at Bainbridge Navy Corpsman school. After graduating he was assigned to Norfolk Navy Hospital, where in 1946 he met and married Margaret Humphrey, also a Navy Corpsman. Shortly thereafter, Aurel was assigned to his next duty in the Aleutian Islands and then assigned to Fleet Marine Force, El Toro, CA where he served until his discharge in 1949. 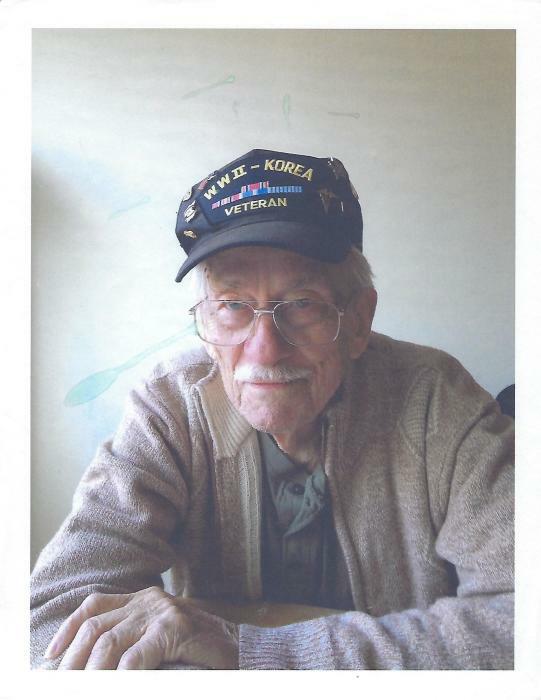 Aurel returned home where he remained until being reactivated in 1950 due to the Korean War. At that time, Corpsman Haitsch was assigned to Santiago Naval Hospital and was then on to the Santiago recruitment depot where he served until his release from active duty in 1953. He returned home where his status remained in active reserve until discharge in 1956. He continued to serve his Country and Community in many ways. He was a charter member and oldest living past Commander of the American Legion Post 100, member and former Treasurer of the Korean War Veterans Association, member and past Treasurer of the Bethel Lions Club, member of the Danbury Council of Veterans and was a member of the Bethel Fire Department for over 50 years where he had served as Treasurer. He was honored in 2016 by his selection as Honorary Parade Marshal in the Danbury Memorial Day Parade. Before his retirement, he was a manager for First National Supermarkets. Aurel and Margaret had been married 46 years, when she passed away. Aurel is survived by his son: John “Skip” Haitsch of Georgia; granddaughter: Jennifer Schwartz Renkert, her husband Tyler and his three great grandchildren: Olivia, Maya and Grayson Renkert all of Newtown; brother: Richard Haitsch of South Carolina; niece: Layna Haitsch-Palumbo and her husband Lorenzo of Bethel; nephew: Philip Haitsch, his wife Carolyn and their son Chase all of Ridgefield and his longtime companion: Rita Markus of Bethel. In addition to his wife and parents, he was predeceased by his daughter: Linda Haitsch Schwartz. The family will receive friends at the Bethel Funeral Home, 215 Greenwood Ave., Bethel, Thursday evening from 5:00 to 8:00 PM. Cremation and burial of his ashes with his wife in Elmwood Cemetery will be private.